I've had a great run with this blog & I am grateful for every follower I have, but it's time to sign off & say goodbye to Designer Horses. Jimmy has been sold, I've gotten married, we got a dog & I'm living life in the NW Suburbs as a wife & dog mom. Time to retire the equine blog - but don't worry! You can still stay up-to-date on what is going on with my crazy life on Sparkles & Crafts. If you are looking for a wonderful equine partner, please check out our Facebook or Website. Thank you. God Bless. Goodnight. Well hello, everyone! It's been a long time...and for that I apologize, but I promise it's all for good reason. Right now I'm in Montana at the Yellowstone Club, because last night I was Maid of Honor in my best friend Molly's wedding. I can't believe she's a Struve now!! Wow how time flies. Jimmy has been leased to the most caring & wonderful family in the world. 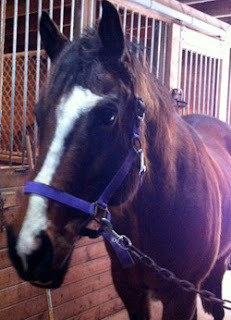 He now lives at Daybreak Farm & belongs to a darling girl named Miranda. 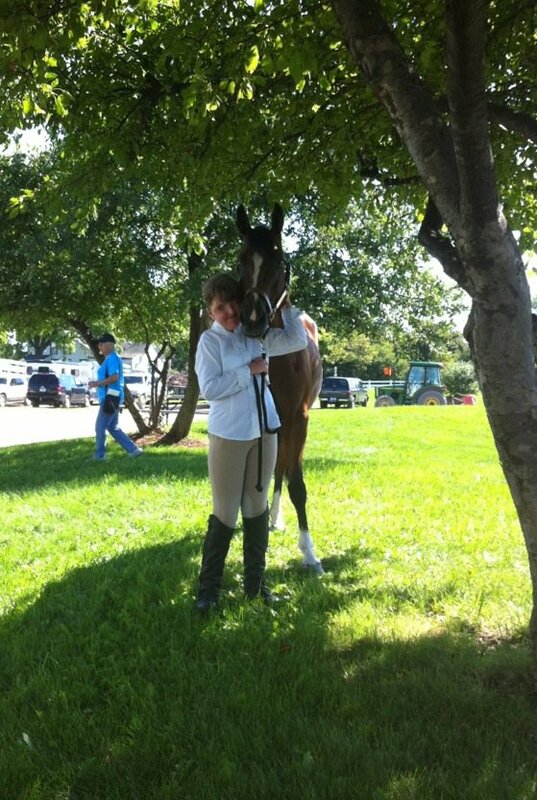 They are enjoying trail rides, lessons, and competing at PTS horse shows in the "Special WT & WTC" division. Here is a photo of the two of them together at their first horse show a few weeks ago - where they won Reserve Champion in the Special Division. Go Miranda & Jimmy!! Next comes Diesel. Diesel has been my project since March of 2011 & he's really been an honor to work with. He came to CVE not understanding riding or steering or much of anything at all so I started him from the ground up (literally) and helped him trust & understand that riding & being with people is a cool thing to do. 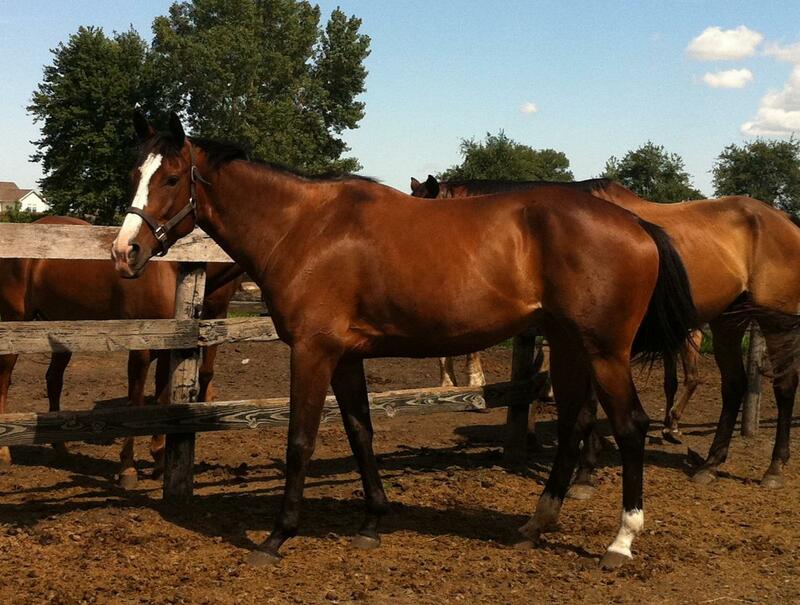 He progressed beautifully & this past week was sold to Oakwood Farm's trainer Katie Rose. 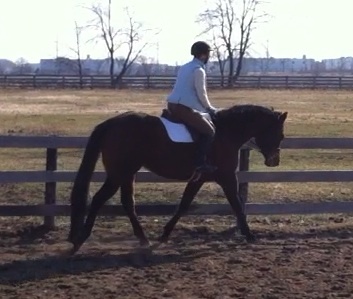 He will be her personal "project" to finish out & then he will be a school horse. Go Diesel!! Here's a photo of Diesel & I in May, 2011. 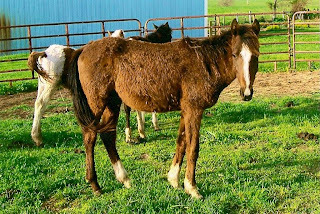 That said...I can never sit still too long & when I had my accident a friend had posted an ad of a little solid paint 15hh bay mare who desperately needed to get out of a bad situation. She was purchased to be a family horse and in the wrong hands, any wonderful horse can go from great to ghoul. 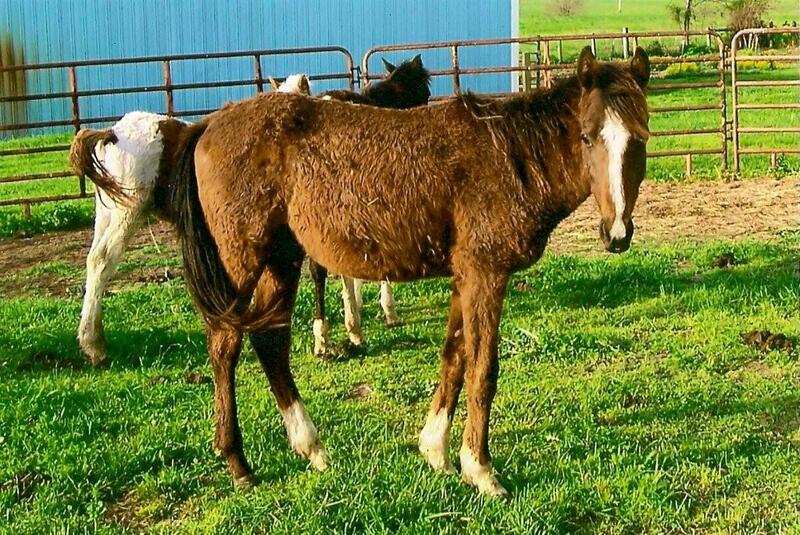 Well, I watched her as long as I could & when I knew Diesel was sold & Jimmy was leased I jumped at this little mare....who is now known as "Chloe". Chloe came home Thursday night, however I've been in Montana since Thursday morning so it will be a few more days before I'm home and can see her. The resemblance between her & Jimmy is astounding and the moment I saw her I fell in love with her. 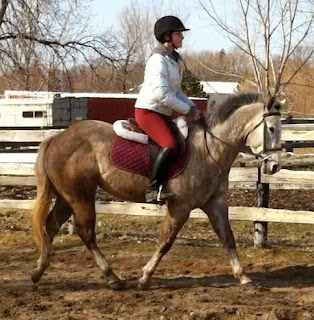 I think in a few short weeks she will have her mentality straightened out, her rough patches under saddle smoothed & she'll be coasting over-fences like nothing. I expect she will also find a wonderful home in the very near future - once she & I have had our fun. Please click the following link to view a video of my Chloe: http://youtu.be/XOl0UDZRQ10 You can also see a photo of her below...the similarities are uncanny. Long lost sister?! 9 weeks 6 days until Bill & I are husband & wife...and I become Mrs. Bedsole!! I have 4 more weddings before ours though, so it will be a wild 9 weeks :) Wish me luck & I'll do the best I can at updating everyone on Chloe's progress and the progress of the other projects CVE is getting in. Enjoy the weather!! Quick recap: Chocobella is the best mare in the world. Grey pony is doing beautifully now that we've decided she needs anything BUT Cassie's saddle. Jimmy LOVES the sunshine and is giving Lucy very good rides. Diesel is different every day, but seems to be learning his job and appreciating life :-) The team is getting amped for show season and we all can't wait to get out there and show how great our horses are!! Now the good part: VIDEOS!!! We have a long way to go with Diesel, but I just like him so darn much. I'm really, really excited about him. I can't wait to see what he becomes. Click here to see what else we've got for sale. 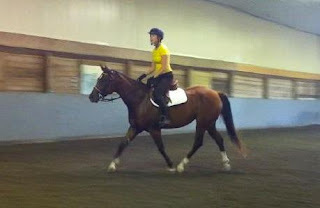 Saturday this weekend I went up to Morrie Waud Equine Clinic for a "Podiatry Solutions to Improve Equine Performance". I have to say the educational portion for horse owners was unbelievably interesting. The second half of the day was more geared toward farriers, so when they started getting really into it, they kind of lost me and I kept catching myself day dreaming. Dont pick hooves before riding (unless the horse has been on stones) - The mud/manure that's naturally packed it's way into the frog is comfortable for how the horse walks & this way horses won't sink all the way into the sand & grind it up into their hooves. IS THIS LIKE DEJA VU OR WHAT!?!? Jimmy had ouchy heels. He went REALLY lame. We found Tim. He got sound. I had to get my saddle fixed. Oh. My. Goodness. Every word the farrier & vet team were saying to the crowd I felt like they just directed straight at me. Light bulb. Light bulb. Light bulb. It was pretty amazing. I text Tim and let him know that according to UW, he's the perfect farrier :-) God bless the team of vet/farrier that I have for Jimmy!!! Unreal. In other news - we schooled a gymnastic today a few times and a little vertical off many different turns and Jimmy was quiet, easy & pleasant. No complaints, just good Jimmy. All is well in our world. 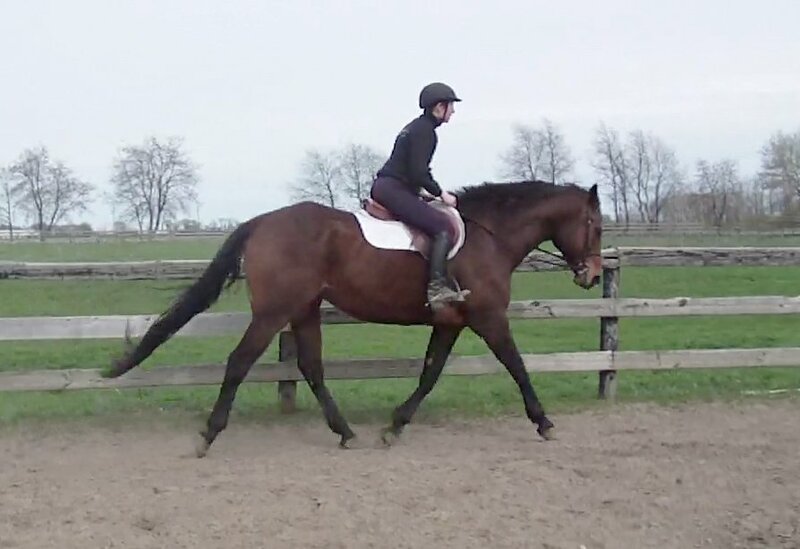 Diesel has impeccable movement and even though he's far from coordinated right now, he's definitely going to make a beautiful hunter. We're just riding walk/trot and he and I work on the ground so he has the cardio workout of cantering as well. In the field all day, he just stands and eats. He isn't active in the least so he needs someone to rev his engine a little bit (and work off a little of that BELLY!!!) He's learning steering and stopping. He steers pretty well, I can't say the same for stopping, yet. He's learning "HO" and improving every day. Thankfully, I have the motivation of my November wedding keeping me going while he is tugging and leaning against me in the bridle and when I get home and lay on the couch with my muscles throbbing I remember "It's worth it. He's awesome....." and "....I'm going to have such nice arms for the wedding!" HAHA What kind of bride would I be if I didn't think of that as a reason to ride more?! If you have anyone interested in a guy like him (even though I'm not exactly ready to part with him just yet...) you can see his online advertisement here. Oh, and we also have a really really cute pony for sale right now too. She's seriously adorable. Check her out here. Every week I look through the Camelot Horse Weekly Facebook and pick out a horse to promote & hopefully find a home for. Even if I don't, I like to think that my voice helps more people become aware of Camelot and join the force to find homes for these horses on their way to slaughter every week. Of course, I always pick one who I would pick for myself "If I could get another horse, I'd pick..." but this week it's gone too far. I'm sitting in my living room sobbing uncontrollably because I've found the one. "The One" I was never supposed to look for or find. I found him. He's Jimmy's twin and it breaks my heart to look at his picture, but I can't stop. Even his description sounds like Jimmy at that age. My heart is breaking. Does anyone see the resemblance?!?!? 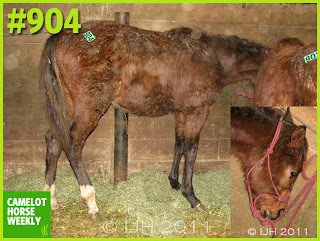 My heart is absolutely broken to think that this little QH will go to slaughter on Saturday morning without the chance that Jimmy was given. I just keep replaying these words that are written in the comments below this little angel's photo: "‎$234.50 to bail with credit card, sales tax, Health Cert, Coggins and Franks fee." More than ever, I wish I could have just one more. Lainie was put to sleep today. She's now dancing up in Doggie Heaven. Godspeed, little angel. 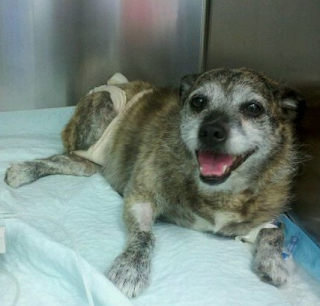 My dog niece, Lainie, was hit by a truck at HITS Ocala last week. She's currently in critical condition with a broken pelvis, dislocated hip and very serious internal injuries. Someone was driving their rig way too fast down a "NO VEHICLES ALLOWED" marked street at HITS Ocala & nailed her. Please keep her in your prayers. I like to tell his story.